What a tale this rusty Colt could tell — this M1911 pistol is more than a vintage military side-arm. It is a symbol of courage, determination, and triumph over adversity. 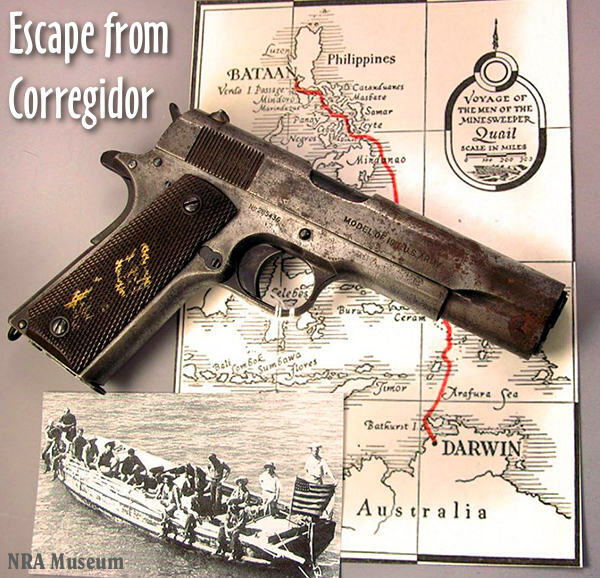 This pistol was carried on a 2,060-mile open-boat ocean crossing from the Philippines to Australia. In May of 1942, the skipper and 17 crewmen of the Minesweeper U.S.S. 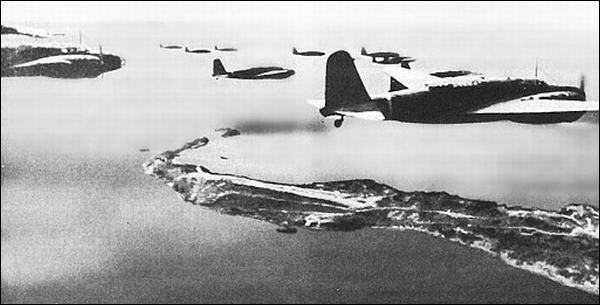 Quail courageously decided to sail from Manilla to Darwin, Australia rather than surrender to the Japanese. Lt. J.H. Morrill and his crew made that long ocean journey in a 36-foot launch, braving enemy air and sea forces and dangerous ocean conditions. The minesweeper U.S.S. Quail was the last operational American naval vessel in the Philippines when Japan began its occupation of the country in May 1942. 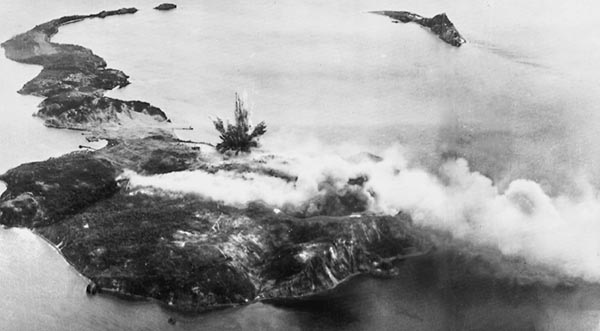 After his vessel was disabled at the strategically-important island of Corregidor near the entrance to Manilla Bay, Lt. Commander J. H. Morrill scuttled the ship and gave his crew a choice: either surrender to the Japanese or attempt to escape, by sea, to Allied territory thousands of miles away. Rather than surrender, 17 crew members elected to join Morrill on a dangerous passage in a 36-foot open launch/lifeboat. Gear was scavenged including this M1911 recovered from a dead serviceman. With few charts or navigational aids, Morrill and his men successfully completed an epic 58-day 2,060-mile journey to Australia and safety. 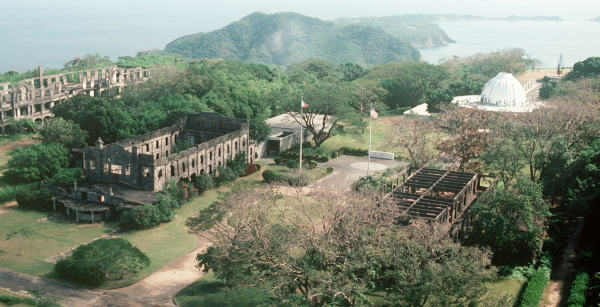 Credit NRA Museum, Corregidor.org, and U.S. Government photo from Wikipedia. Share the post "The M1911 That Escaped from Corregidor"
Did you know that Shilen Rifles Inc. offers barreled actions and complete rifles? 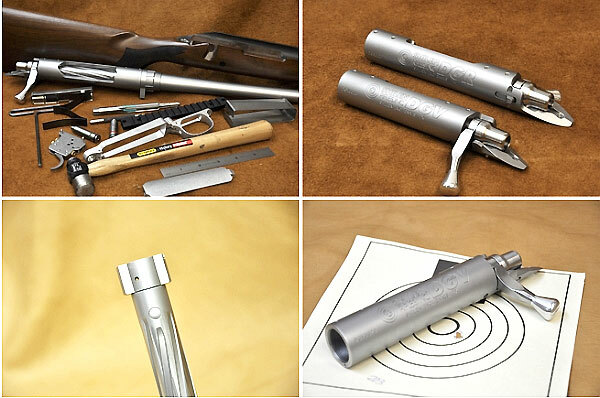 And that Shilen offers a Savage-style, barrel-nut system for its Rem-clone actions? Starting in 2010, after a hiatus of nearly twenty years, Shilen returned to the rifle manufacturing market. 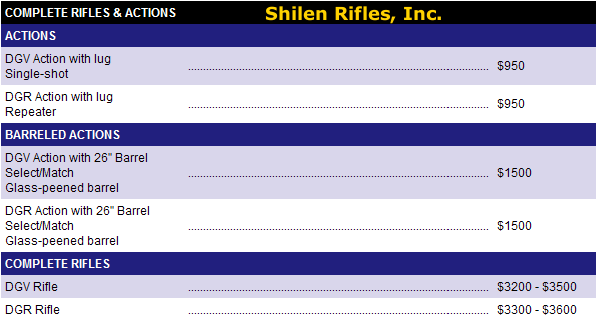 After several years of development, Shilen now offers custom actions ($950.00), barreled custom actions with triggers ($1500.00), and complete rifles ($3200.00 and up). Call (972) 875-5318 or email comments [@] shilen.com for more information. NOTE: An 11% Federal Excise Tax is due on complete rifles. The new Shilen custom actions are CNC-milled from high-grade stainless steel. Two types are offered — the multi-shot DGR (Repeater) or the single-shot DGV (Varminter) action. Both actions are offered in most common bolt faces and both right-hand and left-hand actions are immediately available. The DGR and DGV actions have a 1.350″ diameter with 8-40 scope base mounting screw holes, and an 0.300″ pinned recoil lug. The spiral-fluted bolts feature a floating bolt head with an interchangeable bolt handle knob. These actions feature a footprint similar to the Remington Model 700. Both DGR and DGV actions will accept many aftermarket components crafted for Rem-700 style actions, including triggers and bottom metal. Share the post "Shilen Offers Barreled Actions and Complete Rifles"